Photo: Grayson County Courthouse where the marker was located. Caption: Grayson County Courthouse where the marker was located. 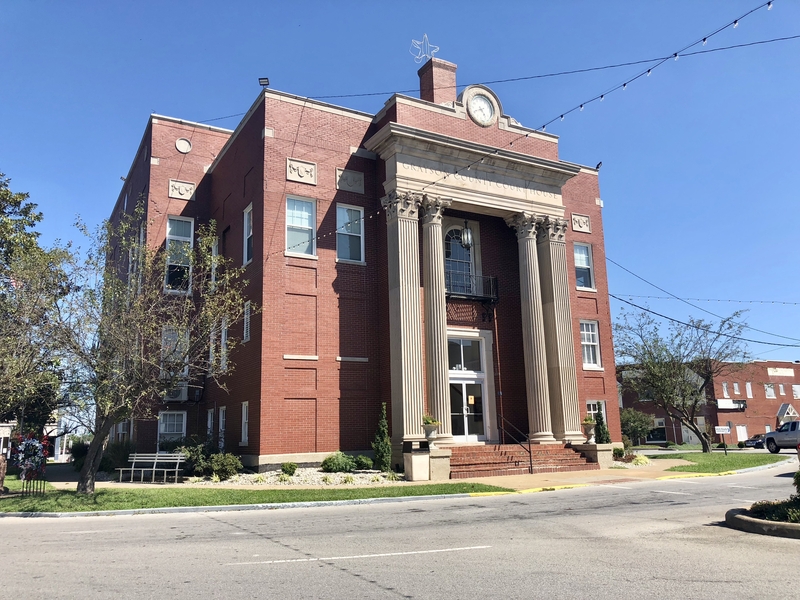 Additional Description: This current courthouse, built in 1938, is the fourth courthouse for Grayson County. The first three were lost to fires that destroyed some or all of the records. The first fire was the 1864 fire, the second was in 1896, and the third burned in 1936. Submitted: September 18, 2018, by Mark Hilton of Montgomery, Alabama.